Cruciate ligament knee injury. Artwork showing a torn or ruptured cruciate ligament (circled in red). 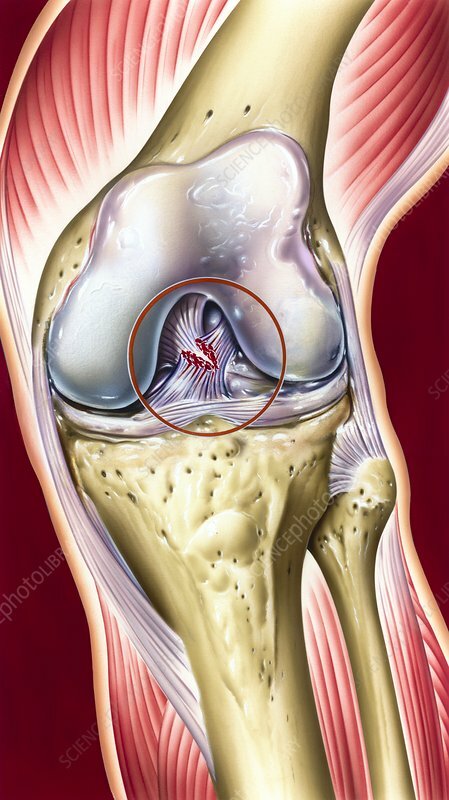 The anterior cruciate ligament (ACL) is one of the four major ligaments that hold the knee joint together. It joins the femur (thigh bone) to the tibia (shin bone). Injuries to this ligament are a relatively common sporting injury, and surgery is needed to restore full function to the knee.